On June 22 and June 23, participants in Whistler Village will have an opportunity to show just what they’re made of in the annual Tough Mudder event. Modeled after the British Special Forces training camps, the 10-12 mile long obstacle course tests mental and physical strength and stamina, and challenges people with common fears, such as fire, water, and heights. The obstacles include everything from climbing walls, running through fire, to minor electrocution. What some might consider torturous, others see as an opportunity to create lasting memories and build camaraderie to achieve a sole goal of completing the course. Registration for the event is going until June 17, so if you want to grab a team, join an existing one, or run the course as an individual, you better pick up the pace. 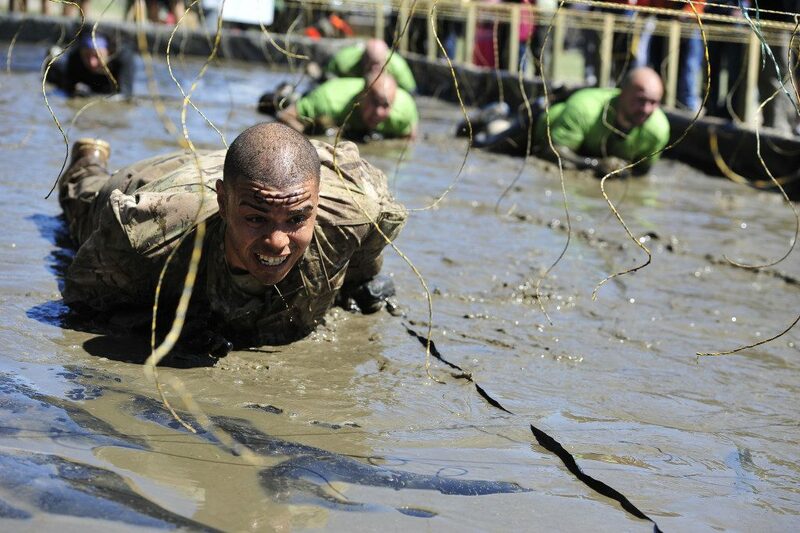 Then again, preregistration for 2014 Tough Mudder is already open. If you feel like you need more training and want to commit to something next summer, log onto their website at http://toughmudder.com. The event will also include a post-party and award show with live music, contests, and the carnival of tough. If you are unprepared for such a trying event, but still want to witness it, spectators may buy tickets for $20 online or $40 onsite. Whether you have something to prove or you’re just seeking a quality way to past the time, Tough Mudder is a growing event that is attracting and inspiring people across 20 nations. Formerly published by Techvibes Media. In 1999, famous Canadian wildlife artist Robert Bateman introduced an annual art contest dedicated to getting youth out into nature and experiencing the wonders of the wild. Six years later, the Get to Know program took what Bateman started and transformed it into a digital format that is more accessible to the public. The new “experiential program” blends the environmental with technological creating a platform that engages and educates the public. Joining forces with organization such as Parks Canada, US Forest Service, Canadian Wildlife Federation and others, Get to Know has developed a game for iOS and Android that puts the users in scenarios where they have to physically explore and connect with the environment. Targeted for an audience ages nine to 14, Get to Know plays like a scavenger hunt where answering trivia and uncovering clues earns experience points that advances the players in rank and progress them through national parks, zoos and other natural sites. Although QR codes are effective in the game play, Get to Know is hoping to move forward into using Bluetooth low energy beacons that can be buried in the ground and has battery life to last years. Get to Know is consistently adding new features into their game and expanding to different natural locations. Currently the team is planning to introduce the game to Mount St. Helen’s National Volcanic Monument in Washington in September. Other sites they are aiming to include in the near future are Vancouver, Kelowna, Los Angeles, and even Cumberland, Wisconsin. Get to Know is currently a work in progress, but with the strong goal of focusing on app and game development specifically targeted for socially conscious, active living-based clients, the possibility is infinite. Currently Get to Know is working in collaboration with Taking it Global and Heritage Canada to develop an app celebrating the 150 anniversary of Canada, which is coming up in 2017. “That will be another location-based, educational app that we are pretty excited about,” added Munroe. Our voice, although it might often just be a reverberation in our throat conveying opinionated nonsense, still makes up a significant part of us. Like our face and body, a tone of voice can say a lot about a person and that’s why it is vital to find the right one for any marketing or artistic projects. Since 2004, London, Ontario-based Voices.com has been connecting voice talents with exciting projects. The website caters to two groups: professionals looking for jobs as voice actors and those seeking talented voice actors. From advertising agencies to video producers, a quality voice actor can do wonders for the end product. But with a shift in the industry and advancement in technology, both parties are discovering new avenues of finding jobs and talents. Voices.com has been one of the first to pioneer the new way of doing business online. Voice acting is a luxurious profession that allows both audition and deliverable to be accessible electronically. Although some actors thrive on stage or in front of a camera, voice actors tend to work exclusively in a postproduction environment. Even though talent agencies still exist representing actors via paper-based formats, Voices.com recognized that in order to keep pace with modern technology, they must embrace the digital format. Clients seeking voice talents with Voices.com can easily access the self-service posting that allows them to highlight the talents they are looking for. By stating key details such as language, gender, age range and some artistic direction (cowboy, teacher, accent, etc. ), Voices.com will be able to take the gathered information and match it with a thousand of profiles on the website. And then using an algorithm, Voices.com’s software will select the perfect candidates for the job. From there the selected actors can audition for the role. Voices.com uses a quoting process to charge clients depending on the scope of their project. By allowing the market to dictate the appropriate pricing for the job, both the client and the 100,000 voice actors in the system will get the most effective result for their efforts. With a new responsive design and mobile app, Voices.com is now expanding to different languages. This new advancement will allow actors and clients in different countries to access the page in their translated tongue. Whether it is because of our shortened attention span or our heightened interest, second screens are becoming a common television viewing habit. Mobile devices are changing the way people watch and interact with TV. 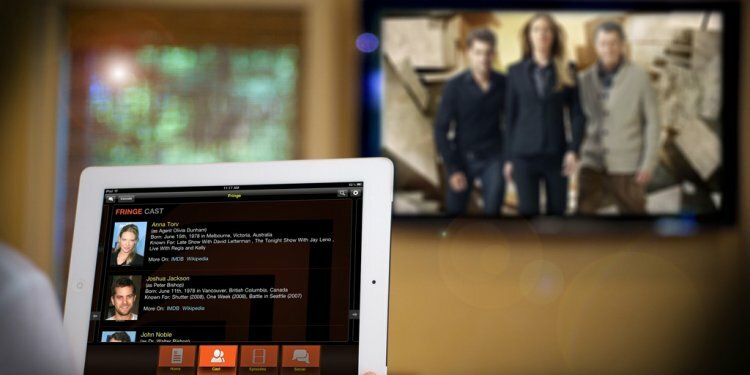 Engaging with a show and other viewers can now be as simple as using a smartphone or a tablet. The latest Nielsen survey shows that 46% of smartphone owners and 43% of tablet owners are choosing to be connected with their devices while watching TV. During the first quarter of 2013 two-thirds of tablet and smartphone owners said they were using the second screens multiple times a week. But what are viewers really doing on their devices while watching television? Well, everything really. Majority of tablet owners are simply making general web searches and browsing. But the survey shows that people are also using the second screens for contents that are related to what they are viewing, 13% of tablet and smartphone owners use the device to interact with the show or post about it on social networking sites. About 15% of users admit to watching a show because of something they have read on social media. And 20% of viewers with tablets are shopping on their devices during advertisement on television. According to the Q1 2013 Cross-Platform Report, smartphone users can spend up to nine hours each month using social media on their phone. Tablet users average around four hours each month. Multi-screen entertainment is a product that both television producers and digital device marketers are expecting to grow. Whether we are using it out of boredom or curiosity, the fact is that more often than not we are engaging in the second screen experience. And as social networks sites such as Twitter and broadcast companies such as Bell and Shaw develop more avenues for second screen, viewers and device users alike will continue adapting to the changing world of entertainment. 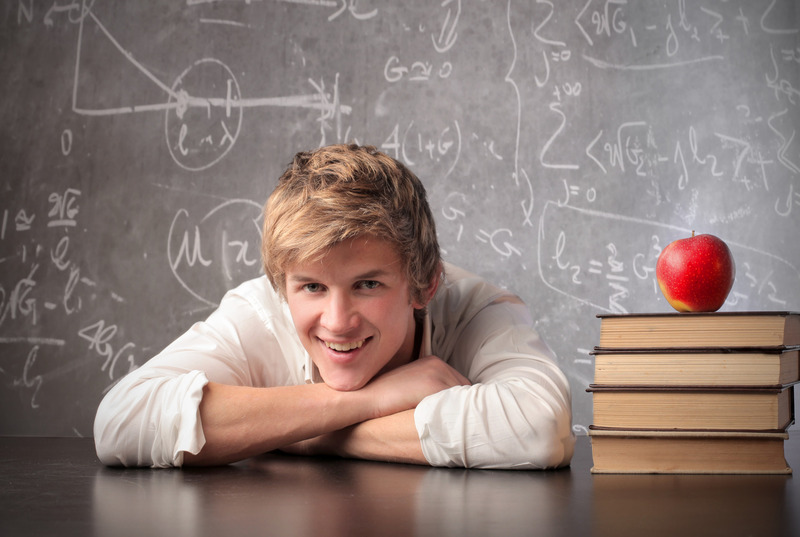 The future for high school graduates is incredibly daunting. Uncertainty lingers at every corner and competition is intimidating and fierce, especially in the world of scholarships. Every year, Grade 12 students across the country prepare for the next step in their lives. They take their photographs, rent their fancy dresses and suits, and apply for the most prestigious honours. Sadly the grueling process of filling out scholarship applications often leave students feeling demoralized. Toronto-based startup One App Scholarship is opening a new avenue for students applying for scholarships. Now, one application is all it is going to take to be eligible in multiple scholarships, with a total of 300 scholarships in the program. For a submission fee of $29, winning students will have an opportunity to earn at least $1,000 in scholarship money. One App Scholarship is planning to launch on September 5, but the idea of a convenient application process is quickly catching on in high school classrooms all across the country. The monotonous task of applying for scholarships has deterred students from even giving it a chance since the existence of scholarships. It is often not the best student who wins the award, but the students who put in the most time and actually apply. Although the prestigious scholarships might never change their process, One App Scholarship is creating opportunity for those without the ability to invest the time. But the theory for this young startup is that if a scholarship wants to award their money to the best student, then it only make sense to get the most amount of people to apply, instead of simply scrapping from the bottom of a barrel. While One App Scholarship is currently focused on helping Grade 12 students get the most out of their post-secondary experience, they are also aiming to assist university and college students as well in the next step of their lives—finding a job. One App aims to be more than just an application website; they are striving to be a mentor for the next generation of vibrant learners and workers. A good meal is worth every penny. A good meal delivered to your door, well, that might just be the jackpot. Vancouver-based Lazymeal is aiming to improve your odds of enjoying quality food in the comforts of your own home or office. The innovative food ordering website allows normal everyday people the luxury of dinning in without the hassle of cooking. With deadlines and responsibilities clouding our judgments, determining what we want to eat is an absolute challenge. Yet nourishment is essential. So, Lazymeal does the heavy lifting for us by researching the highest rated restaurants in your area and assisting in the process of selecting dishes and placing order. All we have to do is sit back and wait for the knock on the door or the chime of your novelty doorbell. Only the best restaurants make it onto the website. Using Yelp and Urbanspoon ratings, the crew at Lazymeal handpicks the top restaurants in different cuisine. Greek, Thai, Japanese, the possibility is vast, yet the process is concise. The idea for Lazymeal came in 2011 during a rainy day in Vancouver, go figure. When the weather conditions caused phone lines to go out of service and ordering food became almost impossible since most restaurants operate with landlines. By incorporating pictures and statistics, Lazymeal offers a sophisticated approach to what was once considered a tedious task. Although food delivery services is not as popular as other metropolitan cities, Lazymeal believes that as the city continues to grow, food delivery will inevitably improve. Lazymeal allows us to fit a delicious meal into a hectic schedule, even though delivery food is often accompanied by a slight stigma. Perhaps this is the beginning of a dinning revolution or maybe it is just an alternative to the hustle and bustle of eating out. Either way, Lazymeal is hungry for change and they are leading the charge. 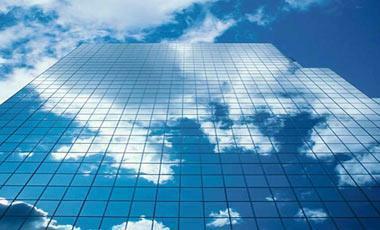 This month, IDC released the second annual Enterprise Cloud Study. Focusing on large Canadian organizations’ businesses and IT leaders, the study showed that cloud technology is essential for businesses striving to improve their customer service, increase productivity and save money. Companies who have adopted the cloud first mindset are 25% more likely to be opened to new technologies and are considered more innovative, progressive and better suited for outperforming their peers according to the study, which was commissioned by Telus. Many IDC experts foresee cloud as being a conventional technology in the coming years, estimating in Canada, cloud service will increase by a third and surpass $1 billion by 2014. At this transitional juncture, IDC believes that businesses will only have a short amount of time to become knowledgeable and expand their strategy to include cloud. Otherwise they might not be able to keep up. Currently 55% of large Canadian businesses have third-party hosting services with almost 31% of organizations with both cloud and hosting. Organizations that utilized these services are better equipped when overcoming data security, compliance and data residency concerns. A majority of Canadian businesses have relatable priorities: 23% said they wanted to provide better customer experience, 15% wanted to improve productivity, 13% wanted to be more cost efficient and 12% wanted to attract and retain skilled workers. By having a cloud first mentality companies are able to support these growing expectations by staying up to date with technology and functionality, by sourcing IT resources, skills and capabilities with greater ease and by allowing the business to be more agile. The spotlight was on Canada during the Electronic Entertainment Expo (E3 Expo) this month in Los Angeles. Canadian video game companies are turning a lot of heads on the world stage by showcasing some of the industries most anticipated and critically acclaimed titles, such as: Assassin’s Creed 4: Black Flag (Ubisoft), Batman: Arkham Origins (Warner Bros. Games Montreal), Below (Capybara Games/ Microsoft Studios), Dragon Age: Inquisition (Bioware / Electonic Arts), Gangstar Vegas (Gameloft), The Mighty Quest for Epic Loot (Ubisoft), NHL 2014 (Electronic Arts), FIFA 2014 (Electronic Arts), Splinter Cell: Blacklist (Ubisoft) and Watch Dogs (Ubisoft). Currently 16,500 Canadians are employed in the video game industry. Despite some turmoil the employment rate is up 5% and is growing at a moderate pace. Through provincial strategies and housing some of the world’s most creative workers, Canadian gaming industry is contributing over $2.3 billion to the economy. ESAC reports that Canadian gaming companies’ average budget is $8.7 million and is usually produced by a team of 65 people in about a year and a half. With 329 video game studios in the country, 48% devote some of their resources to console games, while 84% are focused mainly on mobile devices. Even though in 2012 only 16% of projects were developed specifically for consoles, those games account for 66.5% of revenues. The Entertainment Software Association brings together developers, distributers and worldwide media to experience the newest trends, products and technologies at the annual video game conference and show. Over 200 developers display their games to the public at the three-day event. With such tight competition, Canadians are hoping that their strength and vitality will keep them at the forefront of this growing industry. Summer is a beautiful time of year, unless you’re a male commuter. Research released early last week by The Men’s Automobile Limitation Experts (MALE) has confirmed that during the summer months, men are 32 per cent more likely to be involved in an automobile accident. Close behind driving under the influence and excessive speeding, attractive girls at bus stops are the main cause of male-related traffic accidents. Every minute a man across the province is getting injured due to a hot girl sighting. Like plumbing, heating and electricity, your computer is an important utility in your home and office. You depend on it for entertainment, communication and business, so it is vital to keep it healthy. But as our reliance on the Internet grows, sophisticated hackers and cyber thieves begin to prosper in their flourishing trade. Websense this week released their third annual Canadian Cybercrime Report Card. In the report, Canada was ranked third in the top 10 countries for hosting advanced malware. The spine-chilling statistic will cause any computer user to consider the problem less as an annoyance and more of an epidemic. Canadian websites have an increase of 25% of malware hosting every year. The cause can range from compromised Internet service providers to vulnerable content management platforms such as WordPress. Regardless, Canada has become a safe haven for hackers and cyber thieves. Websites hosting malware tend to stay up longer in Canada than in other countries, because security software often fail to flag them or has difficulty pinpointing who is responsible for an attack. Investigations can take years before police are allowed to take the infected website down. By that time most cyber-criminals have abandoned their post and have moved on to another part of the Internet.